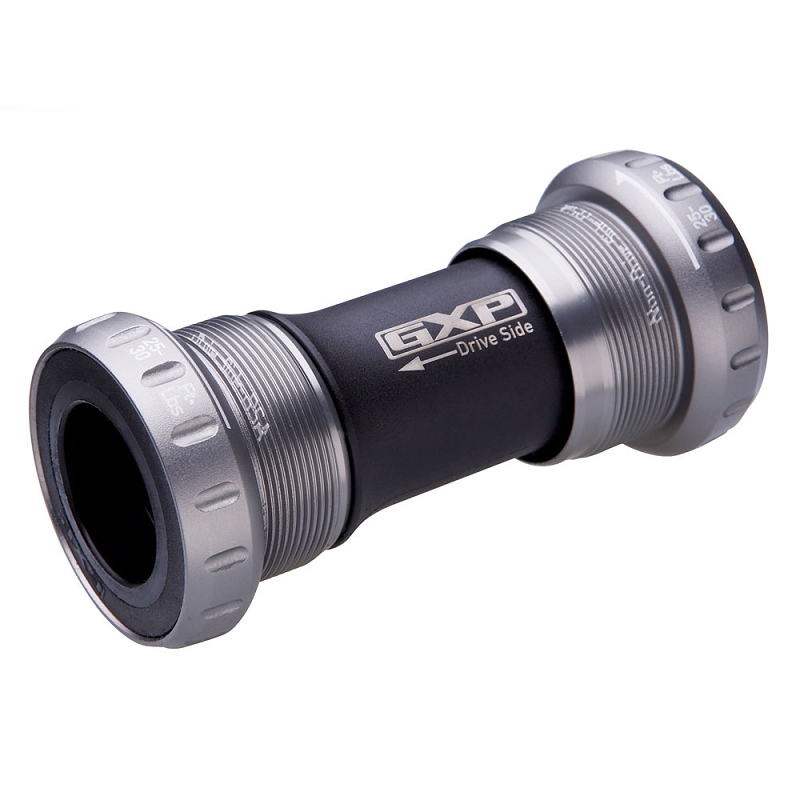 The SRAM GXP system captures the left side bearing between the spindle and the left crankarm while allowing the drive-side bearing to float axially on the spindle, thereby eliminating the necessity to side-load bearings during adjustment. The simplicity of installation is refined: once it is tightened to the proper specifications you are ready to roll with a worry free BB. The GXP system uses two bicycle specific cartridge bearings and eight seals for a smooth and long lasting ride. These cups are specifically designed for SRAM Red, Force, Rival and Apex integrated spindle cranksets. The set includes the bearings, cups, and shell. Sealed cartridge bearings. 124 grams including shell.